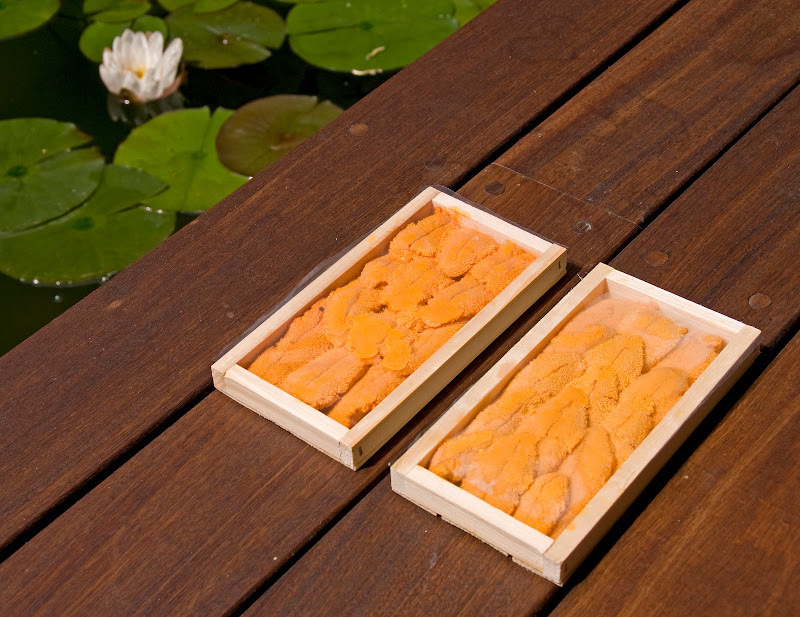 Some of the best uni, sea urchin, is from here locally in San Diego off the shores of La Jolla. Many of the sushi bars get their supply from Catalina Offshore in the Morena district. They’re a wholesaler but you can walk-in and purchase fresh uni along with other fresh seafood, they’ll open on Saturday between 9-11:30 and Mon-Fri 9-2. Shirahama Sushi uses local uni, but they’re seems bigger and tastier than the ones from Catalina Offshore…wonder where he gets it from. There is also a vendor at the Farmer’s Market in Little Italy that sells fresh uni in the shell. Have yet to try it but it looks good. The best Uni I’ve had in San Diego (except for the rare times we get Uni from Maine) is from a boutique Uni supplier named Matsushita in Los Angeles. It used to be that most of their production never makes it to San Diego, however Kaito Sushi has been able to get it rather consistently in the past year. Haven’t been to Kaito in years…maybe its time. Thanks.